Apple Cider Ice Cream with Cinnamon ~ pucker up peeps! If you love a tart apple, and sweet dreamy ice cream, you’ve come to the right place! There are no hard and fast rules about eating ice cream during the fall and winter months, at least not in my house! 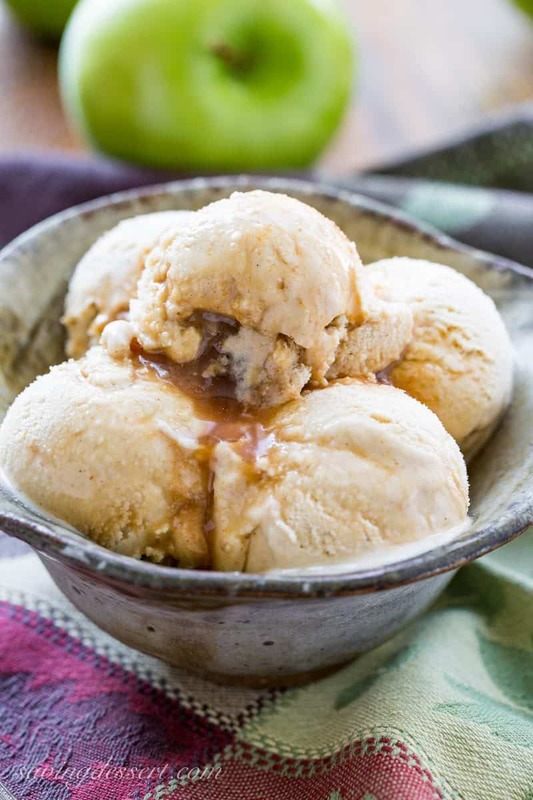 In fact, ice cream is the perfect fall treat, especially one that tastes like warm cinnamon and baked apples with a zing from the boiled apple cider syrup. Boiled apple cider should not be confused with apple cider vinegar. They have a completely different taste, one is sweet and the other taste like vinegar! All natural apple cider is made by pressing the juice from fresh apples. Nothing more is added to apple cider because the juice is already a perfect blend of naturally sweet and tart flavors. Have you ever wondered about the differences between apple cider and apple juice? Apple cider is raw apple juice that has not been cooked or filtered so it will appear cloudy because it still contains some pulp. Apple juice is sometimes sweetened, typically filtered and pasteurized, and will keep much longer on the grocery store shelves. Both have their place in the kitchen and pantry, but today we are using fresh unpasteurized apple cider to make this delightful ice cream. For this recipe, the fresh apple cider is boiled down into a syrup that’s delicious, intense, sweet, thick like maple syrup, and crazy good on just about anything. 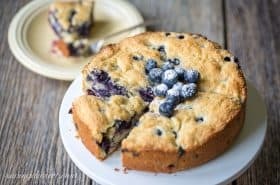 Drizzle it on cornbread, waffles, pancakes, a bowl of ice cream, even a slice of apple pie or a spoon. Or you can make this ice cream and scoop it on top of my Classic Apple Pie for an incredible full on apple experience! 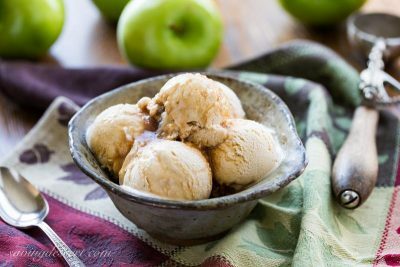 Because boiled apple cider is pretty sweet on it’s own, this ice cream is naturally on the sweeter side. 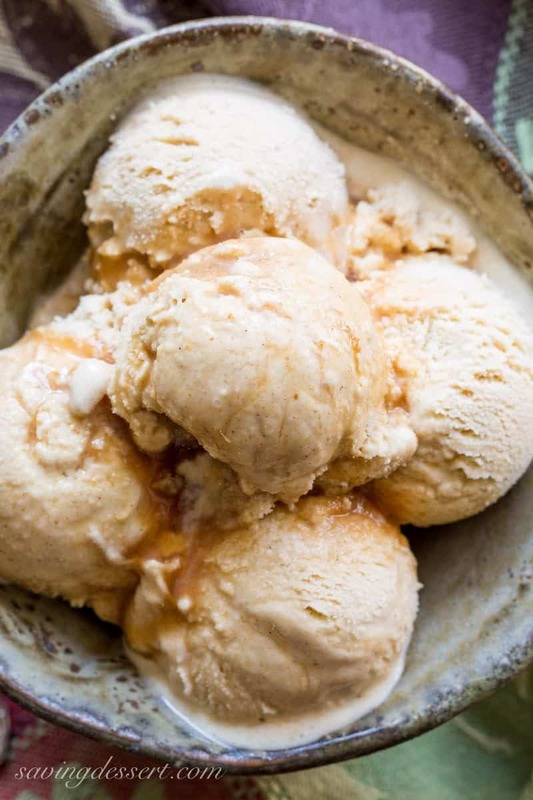 I decided (at the insistence of my taste testing husband) that we would drizzle and swirl half the apple cider syrup into the finished ice cream, creating a caramel like layer. The ribbon of apple cider syrup is deliciously intense, kind of like lemon curd which is sweet and tart at the same time with loads of lemon flavor. Apple cider syrup has the greatest apple flavor ever experienced. So if you think it will be too much for your apple loving crowd, I recommend adding half the syrup to the ice cream as directed, and save the remaining syrup to pass around when serving. Everybody can drizzle to their hearts delight! We’d love to connect with you on social media. If you try our recipe, please use the hashtag #savingroomfordessert on INSTAGRAM for a chance to be featured! And be sure to FOLLOW Saving Room for Dessert on FACEBOOK | INSTAGRAM| PINTEREST | TWITTER for all the latest recipes and updates. Measure 1 1/4 cups of the cider and pour into a medium sized, heavy bottom stockpot. Take a ruler or chopstick and place it in the pan to measure the depth of the cider. Make a mark on the chopstick so you’ll know when the cider reduces to that amount. Add the remaining cider to the pan and bring to a boil over medium-high heat, stirring occasionally with a wooden spoon. Reduce the heat to medium-low and cook, uncovered, for 3-4 hours, stirring occasionally, or until the cider has reduced to a little less than 1 1/4 cups of syrup. Make sure you don’t ignore the cider. I recommend that you check and stir it frequently. I set a timer so I would remember every 20-30 minutes in the beginning, then when it was getting thick, I stayed close by to stir more often to prevent scorching. The boiled cider is done when it coats the back of a wooden spoon and measures slightly under 1 1/4 cups of syrup. It should have the texture of maple syrup. Cool until needed for the ice cream. However, it can be added to the ice cream mixture while still warm or even hot. Place a large glass or metal pan inside another larger bowl filled with ice. Add the whipping cream and vanilla bean paste to the bowl set inside the ice bath. Set aside. Pour the milk into a heavy bottom, medium saucepan. Add 1/2 cup of sugar, salt and cinnamon. Warm over medium heat, stirring to dissolve the sugar, until the mixture almost comes to a boil. 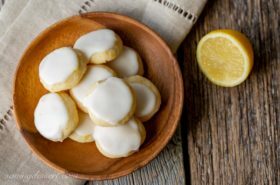 While the milk is warming, combine the remaining 1/4 cup of sugar with the egg yolks in a medium mixing bowl. Whisk vigorously until the mixture is pale and slightly thickened. Set aside. 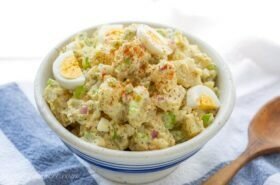 Temper the egg mixture by slowly drizzling a little of the hot milk mixture into the eggs while whisking constantly. Continue adding the hot milk to the egg yolks, a little at a time, until combined. Once most of the hot milk has been added to the eggs, pour the egg/milk mixture back into the saucepan. Heat on medium, stirring constantly, until the mixture coats the back of a wooden spoon or reaches 175 degrees on an instant-read thermometer. Remove from the heat and add 2/3 cup of the boiled cider. Stir until combined. Pour the cider custard into the cream set over the ice bath. Stir occasionally (about every 5 minutes) while cooling, about 30 minutes. Cover and refrigerate the custard for at least 8 hours or overnight before processing. Process the ice cream according to the manufacturer directions for your ice cream maker. Once processed, scoop the ice cream into a freezer safe container, layering the ice cream with the remaining apple cider syrup. Alternately, freeze the ice cream without layering with the syrup, but serve with a drizzle of syrup to taste. Freeze the container for several hours or overnight before serving. This recipe makes 1 quart of ice cream. You will need an ice cream maker for this recipe. The boiled cider recipe can easily be doubled. Boiled cider can be refrigerated indefinitely and is delicious served on pancakes, corn bread, and can be used to sweeten mashed sweet potatoes, winter squash or carrots. Stir some into BBQ sauce for a wonderful treat. And of course, it is phenomenal drizzled over ice cream! Boiled cider recipe adapted from The Washington Post. Another terrific way to enjoy apple cider during the holidays is in this Spiked Crockpot Caramel Apple Cider from Crazy for Crust. Don’t miss this drool-worthy Apple Cider Doughnut Cake from The View from Great Island. These Apple Cider Caramels from Brown Eyed Baker have been on my radar forever. I need to make them this year for sure! As for ice cream recipes, we have several wonderful recipes to choose from so head on over to the Frozen Treats Archives for a few more delicious creations. Ice cream season is a state of mind. Ice cream all year round is my reality! I’ve never tried apple cider ice cream before and it sounds so freaking good. I’m pinning this for later!! Haha – bravo Christina! “Ice cream season is a state of mind” – perfect!!! Thanks for pinning. I have only recently begun to appreciate (and love) the wonderful flavors in juice and fruit reductions. Your pumpkin butter and now this cider syrup are perfect examples of how condensing the flavor can produce heavenly results. Even without homemade ice cream, I think this apple cider syrup would take store bought vanilla bean ice cream up several notches! Yes it would Wendy – and that’s a simple way to enjoy it too. I’m also loving it stirred into a cup of hot tea. Such a wonderful treat! Thanks Greg – hope you had a very happy birthday! For me, ice cream season never ends. The flavors just rotate. And this right here is pure perfection! Never tried an apple cider ice cream before, but definitely need to! Agreed Karly! That’s a good way to think about ice cream. Hope you give it a try – so delicious! This looks fantastic Tricia, I love the apple cider syrup. What a great idea. Thank you Gerlinde! Have a terrific week. What a fabulous ice cream! I just bought (gasp) a bunch of pints of ice cream, but now I’m dreaming of your apple cider ice cream with a drizzle of caramel sauce!! Thanks Liz – it is a winner for sure! Thank you Monica – this is like the best apple you’ve ever eaten – so much flavor and naturally sweet. Thanks again! I’ve always loved apple pie with cinnamon ice cream and this flavor would definitely take it to the next level! Love the idea of boiling down the apple cider too. Delicious fall-flavored ice cream, Tricia! Thank you Susan – the syrup is fantastic on so many things. Thank you Sue – I know you would love it. The flavor is so fantastic and intense. Thank you for sharing! This looks awesome Tricia. Great shots. Thank you Larry! Congratulations again on your new granddaughter. Your ice cream looks great, Tricia! I could definitely enjoy it any time of year. And I will remember about boiling apple cider down, was not aware of this and have to try it on cornbread, etc. Thanks for sharing and enjoy the rest of your week! I know Pam – cornbread is perfect with boiled cider syrup 🙂 Thank you! 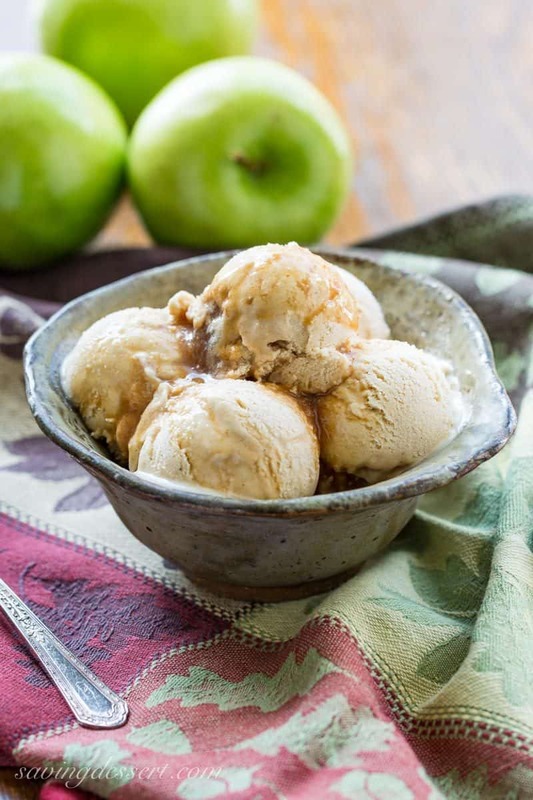 I would have never thought of using apple cider to make ice cream..what a delicious and fun idea! This was a joint effort from my husband and myself. We often talk about recipes and food and he’s such a great partner to bounce ideas off of. Hope you have a terrific week and thanks Angie! Yes it would Jennifer 🙂 Thank you! 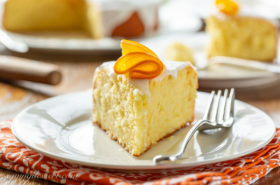 Another delicious idea Tricia! 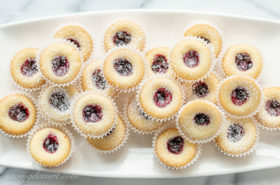 This would be so good with just a simple shortbread cookie too. I love the suggestion of passing a little pitcher of the syrup at the table too! Thanks Chris – this intense flavor is so unexpected, but everybody loves it. Hope you give it a try!